Last March, we went to the area of Intendente, Lisbon, to make our last reports for Spruce Up Europe. We found many projects, such as an old house called “Largo Residencias” where the space has been used by a collective for a cultural café, an artistic residence and a “social” bike shop. We decided to make short interviews about other projects taking place in the area as there is a huge process of rehabilitation going on. It is not only being revitalized by the City but also by youngsters using empty spaces for their social and cultural projects. 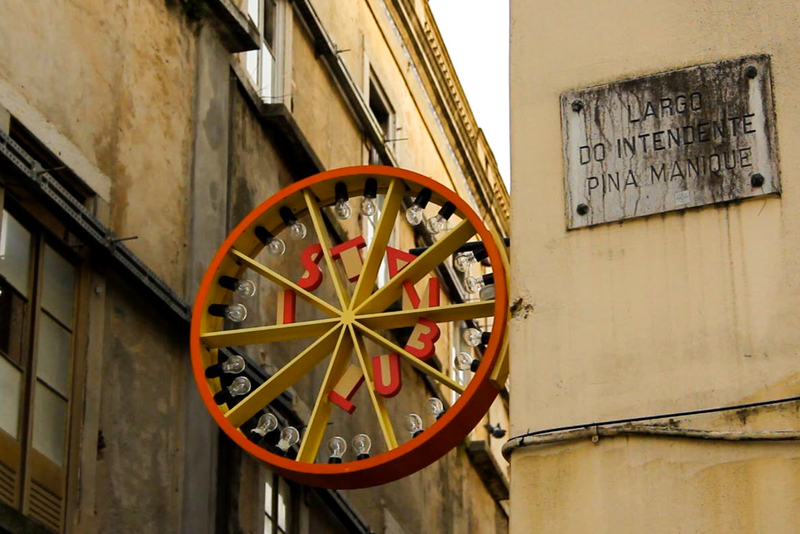 All the Lisboners would tell you the same: Largo do Intendente – the square of Intendente – was famous for prostitution, drugs and dilapidated facades. Today, streets and buildings – where trendy youngsters stand alongside prostitutes – are being renovated. The City Hall got involved in this rehabilitation and even settled one of its offices nearby. The idea was approved by many officials, but some NGOs are worried: the renovation of the district and the end of the rent freeze initiated few years ago can increase the ‘gentrification’ of the area. As a result, prices can explode and inhabitants can be expelled easily. Some organizations and self-managed collectives are using old spaces in Intendente to create cultural and social centers where inhabitants and newcomers can gather. They try to have a positive impact on the area; that means to revitalize it without falling into real estate speculation. Moreover, many associations are questioning the process that is going on here. “We can be part of the gentrification even if we don’t want it. That’s why we are trying to do things for the people of the neighborhood and not only for the people outside” Rita Silva says. She is member of Colectiv Habita, an organization fighting for the right of housing. The association is settled in MOB, a collective space where we can find other NGOs and an alternative bookshop. Like MOB, many other initiatives are bringing a new life to Intendente without encouraging speculation. That means to use another way to finance projects and to avoid businesses in order to make profit. Each place has its own characteristic. Largo Residencias, for instance, used to be a brothel and is now a hostel. The money is used to hire people and to help the artists in residence to make their own projects. Some of the women working there were actually former prostitutes. Crew Hassan, another collective, is also moving to Intendente. 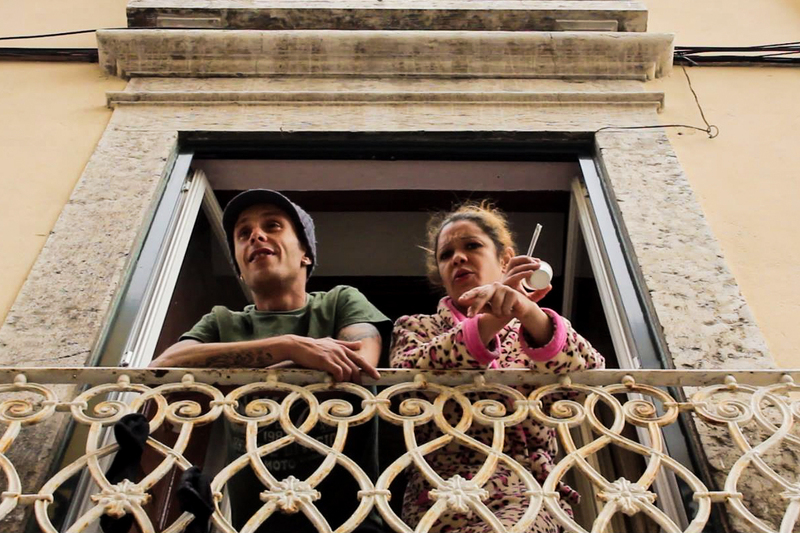 They used to be in Bairro Alto but the area became very touristic and they could not pay for the rent anymore. We met them when they were still renovating the place, a former shop in Andrade Street. Tourists and students are flowing to Largo Residencias café, but we can still feel the atmosphere of strong neighborhood, people greeting and kissing each other, knowing each other.